Our Pirate Ship Play Boat is a nautical themed play tower that’s ideal for adventurous children. 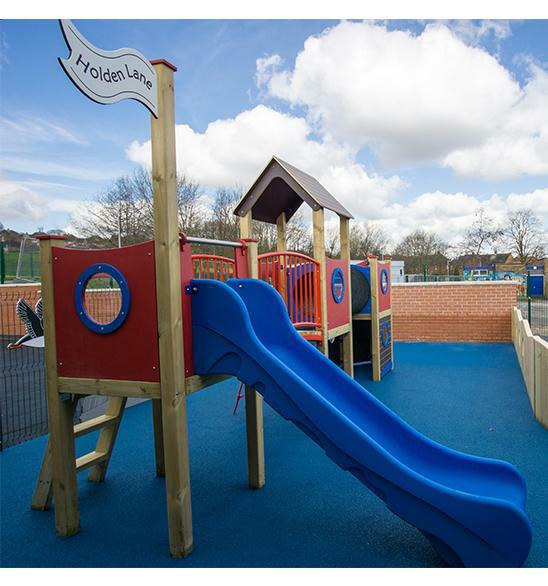 Constructed from timber and HDPE, the standard configuration consists of three towers with a tunnel and arched bridge, along with a rotomould slide, steps, a climbing net, and porthole windows throughout. The front is formed into a ship-like bow, with engraved HDPE nautical decals, and the rear is fitted with a mast and a customisable engraved flag. Timber and durable plastic construction. Three towers, one with roof.